Getting an idea about a buggy module before you begin development can be helpful. Do you wonder how? Well, if a team is aware of the bug-prone area of a product, more effort can be put in to make it more receptive and robust. An intelligent system should have the capability to expose the vulnerabilities in a module. It can be done by analyzing the past data records related to the product quality or the data related to the bugs logged in the previous releases. The previous bug data may include information about the bug; for instance, its type, priority, severity, and other related information. Once the team has identified and gathered information about the vulnerable areas in a module, it can test those areas proactively during the testing cycle. Moreover, in case the module is integrated with the automation framework, the framework will first execute the tests which are related to that module only. Defect logging is an integral part of a testing life cycle. Our intelligent automation frameworks are equipped with the capability to log a defect as soon as the automated scripts fail. With efficient bug logging, there can be a measurable reduction in the time and effort to fix a bug. Now the question is: Can we make our automation solution intelligent enough to be able to log the bug with all necessary details without any human Intervention? An intuitive system will access the web server and the application server logs to provide detailed information about the bug, along with the sequence of actions undertaken before and after the bug was resolved. Predominantly, this will be very helpful to find bugs which are intermittent or inconsistent in nature. The system will access the project management tool to understand to whom the bug should be assigned, and by which ideal due date should the bug be fixed and closed. Fetching information about the impact of a bug on other areas of the application – along with the integration test scenarios, will include other aspects of its intelligence. Furthermore, the system will analyze the bug history for the number of releases specified to see if there exists a similar bug in the database which was tested and closed. Thus, the same bug can be reopened with the log details and the appropriate steps mentioned. During automation, a significant part of the effort goes into the creation of a test script. We need a system that can generate test scripts without any manual Intervention. Can we design our system to be so intelligent and trainable that it will understand the behavior of the application and its business scenarios, and it will start creating automated scripts to test new Scenarios? I can conceptualize such a system that can perform pattern analysis by utilizing the concepts of data mining and several algorithms such as supervised learning, unsupervised learning, and reinforcement learning. Such a system can help achieve better outcomes with the help of automation. For more details on automating test, click here to explore our automation testing Services. To diagnose and fix UI object locator issues is perhaps one of the biggest challenges for any automation team. In an agile world, objects and their properties change very frequently during the development life cycle. It is vital to make our automation system smart enough to understand the changes on the UI and be able to differentiate between a potential bug, an enhancement, or a change in UI. The system should analyze the hierarchy of objects. In case of a change, the system should adapt itself to generate or modify the automation test. Furthermore, it should also appropriately raise the change in UI without halting the test execution. One way to achieve this can be by training the system to identify the locators of the new object added to the UI. Also, the system should be able to identify any change in the existing locators. It should be capable of generating test scripts on its own to handle any addition, removal, or update in the object. It will save the exhaustive effort required to maintain the automation test scripts. Hence, it will facilitate faster product delivery. In a nutshell, an intelligent system should be capable of understanding that if an object gets modified or removed from the application, then it must find the most similar object to the one it was looking for and then proceed with the test. For instance, if a new object is added on a page, then the script must be able to comply with and anticipate that change for the test run to resume smoothly. Shorter delivery cycles demand time-boxed execution where a limited set of scripts can be executed. But, to define this limited set of scripts a system should be intelligent enough to decide which automated scripts are more critical to run as per the criteria. Module vulnerability can be one of the major factors here. Businesses are under constant pressure to evolve and adopt new strategies and stay ahead of the curve. The competitive nature of the market requires intelligent testing solutions that can be handled with speed and scalability. 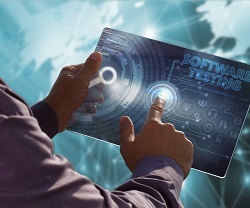 Moreover, despite complexities in new product releases, the focus shouldn’t deviate from always improving product quality, optimizing testing costs, and accelerating the time-to-revenue. All of this requires better and more intuitiveautomation solutions to meet the testing requirements and challenges of the present day. Blockchain applications require proper testing and validation. 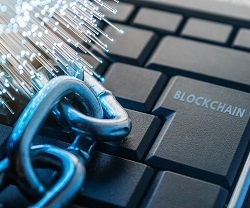 Get insight into the challenges and the key considerations required for a successful testing strategy for blockchain applications. Explore our testing and validation processes and augment your business value.